McDonalds can be our all time fave, but you wouldn't mind a new burger joint, right? 2019 has brought in with it a burger joint to Salt Lake, Kolkata and we can't keep calm. Head to Burger In Law today to get your hands on those absolutely delish burgers. We've had places for only fries, only littis, milkshakes, waffles and so on. Here's another one to squeeze into that list of yours. Burger In Law is opening it's first store in Salt Lake and we are dying to try it out. The two-page menu has one dedicated to just burgers, and we are loving the names - The Couch Potato has a potato patty, grilled pineapple, caramelised onions and cheese slices, while La La Lamb has a minced mutton patty, coleslaw and cheese slice. Aren't you drooling already? They have a selection of add-ons such as mushroom, bacon, egg etc. They also have a series of 'Jawbreakers' which include those huge burgers that you wish you finished under three minutes - starting at just INR 380. 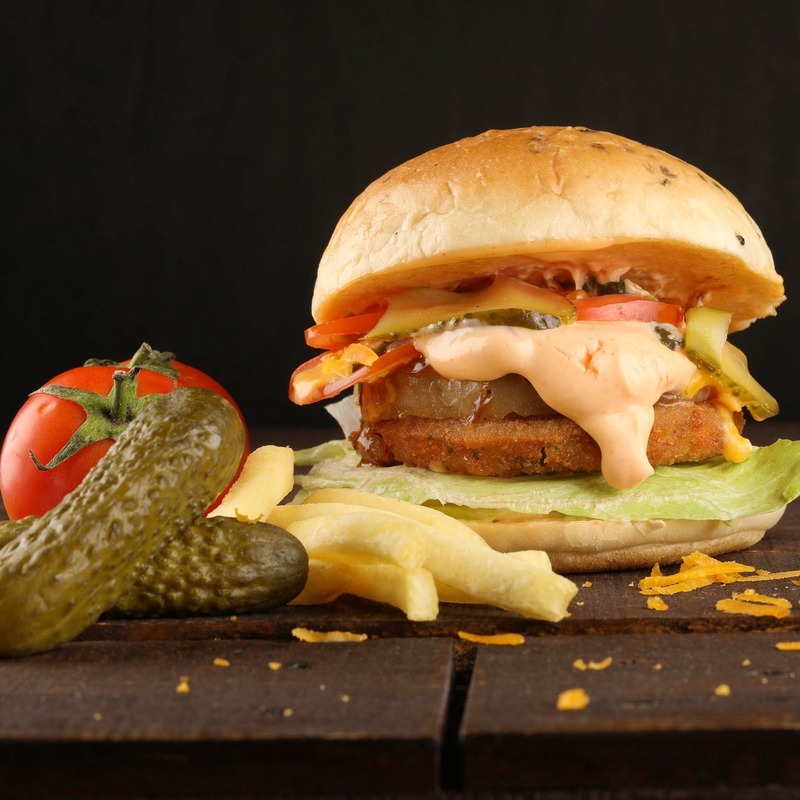 Apart from burgers, the menu lists sections to iced beverages (because no one likes their burgers dry), elaborate house salads, mains like Cottage Cheese Steak and Grilled Bhetki and an array of sides, i.e., french fries and more. This little outlet is winning our hearts super quick because we don't see anything that we don't like about them, specially that you and your bae can easily have a full meal for just INR 500. The only store they have now is at Salt Lake Swimming Pool Area, we can't wait (and dearly hope) they open more outlets, asap. They deliver to your house, if your house party absolutely needs these burgers.